Now of course there are a lot of nativity embroidery patterns around at this time of year but I think my jaw dropped just a little at the sheer scale of Rebecca Rendon's nativity set from her new Etsy shop WholeLifeLovely. Consisting of 24 nativity pieces, both front and back, the lovely donkey above is but an example. 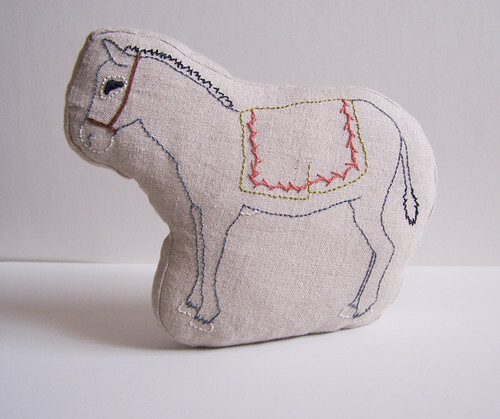 Check out Rebecca's blog Beauty All Around for a tutorial on how to turn the embroideries into little stand up pieces. Que lindo esta tu caballo, saludos desde México.